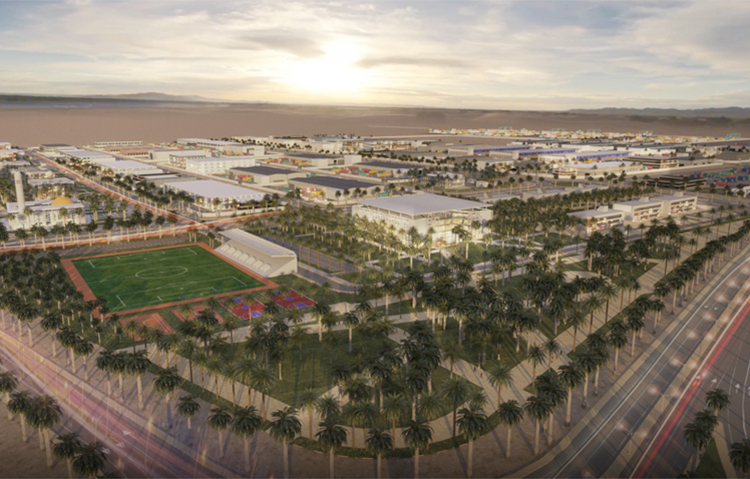 Oman Logistics Company (Khazaen), the master developer of an integrated logistics city in the southern Al Batinah Governorate, is looking for a strategic partner for the development of an initial 10 square kilometre plot, a report said. The partner will be an experienced local or international player with the requisite financial and technical strength. An invitation to participate in a competitive tender is expected to go out next week, the report added. The strategic partner will master plan, finance, build and operate certain assets within the 10 square kilometre block earmarked for this initiative, Eng Salim Said al Rawahi, operating and engineering manager of Khazaen, was quoted as saying in the report. “These assets are primarily commercial, industrial and tourism-related, for which the selected partner will have to build the required infrastructure,” he added. The 10 sq km site represents roughly a tenth of the sprawling 95 square kilometre Khazaen development, which is designed to drive the sultanate’s ambitions to evolve into a logistics-centric economy. As master developer of Khazaen, OLC is overseeing the development of a logistics destination envisioning residential, leisure and retail components. In addition to transshipment cargoes, Khazaen will also serve as a one-stop hub for warehousing and storage, logistics, consolidation of goods, maintenance of road and rail cargo carriers, and customs clearance services, the report added.